Featured posts are news posts about your business. They are a permanent fixture on the Internet and are found by Google in searches Internet surfers make using Google. Why have a post for your business? You’ll be found because the words in the post will be SEO (Search Engine Optimized) so that many keywords will in your post can be placed on Google’s first page. Google has a keyword tool in which does an analysis on any word(s) you use in your post. It shows the frequency of the word used in published pages as well as the frequency of the word in searches. Finding words that are not used much by publishers, but are often searched for is the name of the game for successful placement on Google. Intro post of your choice 250 words is $20. Requires business emailing the post (or notes for the post) to matthewbam@aol.com along with an image of business' choice—quite a deal. Links are $5 apiece (links help you out in Google placement). Set up visit is $20. Extra words are $20 for 250 words. 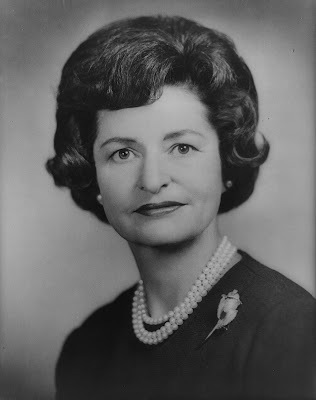 Lady Bird Johnson wasn't a fan of neon signage. The wife of President Lyndon B. Johnson had had enough of America’s beautiful landscape littered by neon. In the 1960s, she became an advocate for a highway beautification program in the United States. Neon signs were the culprits that blocked the views so that the Golden Age of Neon halted thereafter. By the 1970s many cities passed ordinances limiting signage. The popularity of neon waned for nearly a generation.